You may not know it, but October is Seafood Month in the United States. Therefore, this month we’re turning our blog over to a celebration of the sea and all it has to offer the discerning diner. We’re kicking off with six reasons you should enjoy more seafood in your diet. Fish is fantastic brain food. It’s packed with things like DHA, EPA, omega-3 and fatty acids that help develop young brains and keep the memory ticking along nicely as you get older. If you’re into pub quizzes, enjoy playing along with television quiz shows, or simply want to be the sharpest pencil in the box, fish is the food for you. Those EPA fatty acids help to hydrate your outer layer. If you suffer from dry skin, or just desire a healthier glow, eat fatty fish such as salmon. Oh, and it is said to help protect your skin from sun damage – useful here on the Orihuela Costa, eh? Those fatty acids are at it again! Omega-3 is a lean source of protein. This helps you feel full faster, keeping weight down and decreasing the chance of high blood pressure, stroke and heart disease. If only Popeye had known you could get all this from fish, he wouldn’t have had to revert to canned spinach. Fish is a healthy choice in your diet, and it’s also convenient and affordable. Though fresh fish is best, it’s available canned, in packets, and frozen. While our Dover sole is a delicious dish, and a real treat for the taste buds, at home a tuna and onion sandwich made with tinned tuna and a little mayonnaise and black pepper is a delicious and healthy lunchtime meal. 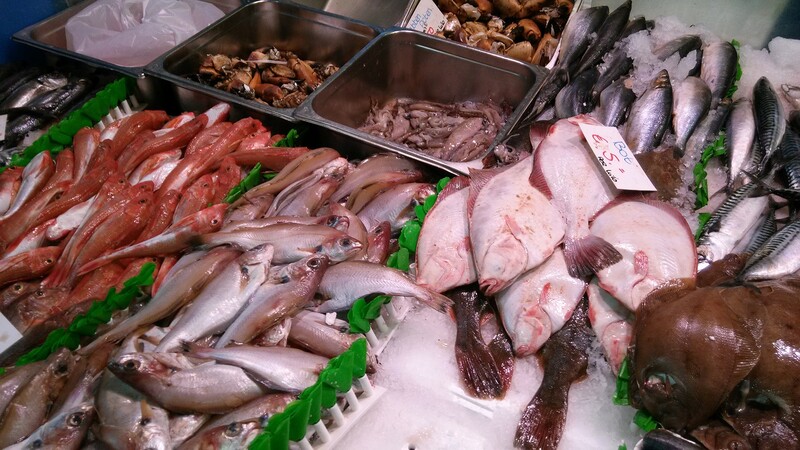 We’re spoiled for fish here in Torrevieja and on the Orihuela Costa. Get yourself down to the beach as the sun goes down, and you’ll see dozens of twinkling lights out at sea. This is the local fishing fleet. In the morning, get yourself down to the harbours of Torrevieja, Santa Pola, and Lo Pagan, to name but a few, and you’ll find their catch being hauled and sold fresh. It’s an early start, but very well worth it. Of course, you could save yourself the bother of fish markets and cooking, and still enjoy incredible fish dishes to improve your health. All you need do is call Christopher’s on (+34) 600 01 28 24 to reserve your table. Now will it be Lobster Thermidor, pan-fried Dover sole, fillet of seabass, smoked haddock Monte Carlo-style… or one of our delicious seafood starters?